Stocks continue to bounce after the tensions with North Korea have quieted for now. As I have written about before, I think the stock market used North Korea as its catalyst or excuse to pullback. The underpinnings were a little weak and a little decline was coming regardless. My thoughts remain the same that the pullback is not over and the major indices will need to step it up sooner than later to revisit the old highs. Every now and then I have mentioned the energy sector this year as it has been under what seems to be constant pressure all year. A few times, I saw short-term opportunities that never transformed into anything more. With this latest bout of selling the sector is once again approaching a window of opportunity. I say “approaching” as the opportunity is not here. I think we need to see the baby thrown out with the bathwater so to speak. It would be great for that to coincide with a piece of particularly bad news for the sector. You know. The things that bottoms are made of. For now, let’s just watch the XLE ETF day to day and see if the opportunity sets up in a way where risk can be defined. It’s unlikely that it will quietly find a low with this kind of carnage. 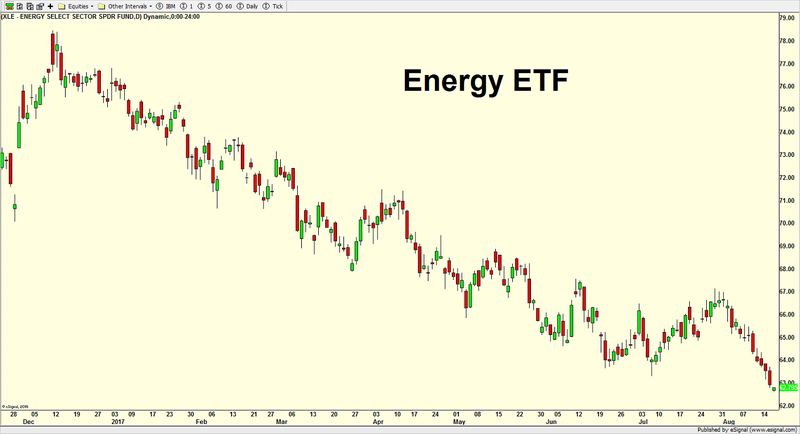 Tomorrow, we will look at how crude oil is trading vis a vis the the energy stocks. The bulls had another strong day on Friday with now the S&P 400 and Russell 2000 on the verge of fresh all-time highs. Semis continue to bounce back. 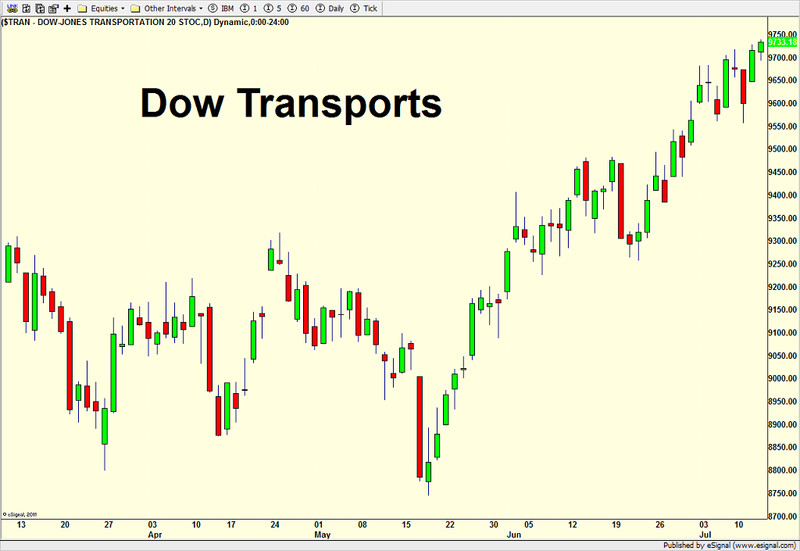 Transports remain strong and discretionary and banks are behaving constructively. 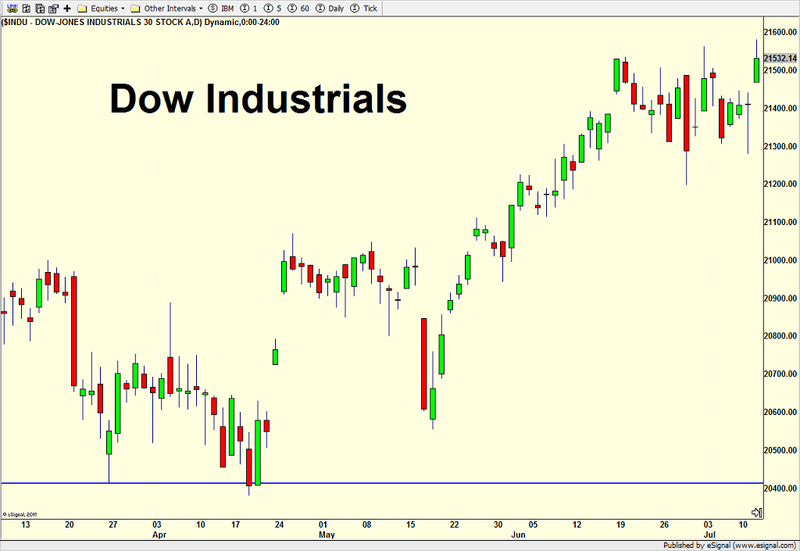 Materials and industrials are quietly in high gear and long depressed energy is ticking higher. High yield is also picking up again and you know my feelings on that along with the broad participation seen on the NYSE. Just keep in mind that this is not a young bull market so it’s behavior won’t be as rock solid as one in its early stages. This week we have option expiration, but I do not believe it is going to play a big role in market direction. Earnings season picks up and that should make for some fun. Although volume has lagged for a long while, given that it’s summer, I would expect it to get even lighter barring an external market event. Although I continue to paint what seems to be a rosy picture, my intermediate-term forecast remains the same. I believe stocks are in a trading range until proven otherwise with perhaps a slight upward tilt.